Buy a shirt and feed a child. 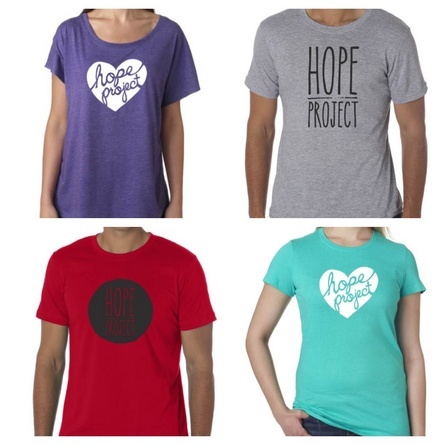 Hope Project has launched a line of Hope Project T-shirts. Each shirt purchased feeds a child in Nicaragua for one month! Our friends are donating 100% of proceeds to feeding these forgotten, hungry children. Please buy a shirt and fill a belly today. To get your shirt with a purpose, go to Hope Project T-Shirts today! Hope Project is committed to caring for children and families through nutrition, education, shelter and spiritual development. Check out Hope Project Online for more information!